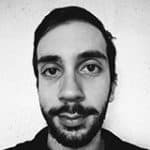 Is rooting and Jailbreaking safe? Is rooting and jailbreaking legal? What is jailbreak and root? How can I tell if my Android phone is rooted or my iPhone jailbroken? Want to spy on someone’s Viber? You can EASILY do it, here’s how! So you want to spy on WhatsApp messages? Here’s how you can easily do it! How accurate is the Find My iPhone app really? As the 21st century’s mobile transformation continues to make life much simpler, many companies have taken to the market of putting people’s minds at ease with cell phone tracking. Location-based tools are this century’s solutions for those of you who feel the need to keep tabs on the people and things in your lives. In fact, in North America and Europe, there are close to 70 million people who use tracking apps. Be it the worried parent, the suspicious spouse, or the absent-minded professor; phone tracking offers a solution that can put your anxiety at bay. It’s basic human psychology, everyone wants to track, but find it invasive and uncomfortable to be tracked themselves. In today’s era, people carry their phones with them everywhere. So, knowing where a phone is generally means knowing where a person is. This is why tracking people has become a rather simple concept. But it has also stirred up a lot of questions. It’s basic human psychology, everyone wants to track, but find it invasive and uncomfortable to be tracked themselves. The fact is, a lot of the paranoia surrounding tracking apps comes from a misunderstanding of how they work and who’s using them for what purpose. There are some important things to understand before you decide if phone tracking is the right option for you. 1 What do these apps do? 2 What are the Most Common Uses of Tracking? 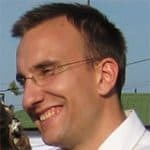 3.1 Does there need to be consent? 5.1 Spouse does not agree to install a tracking app? 7 What apps should I choose? 8 Behind the technology: How do these apps work? 8.2 What are Bluetooth Trackers ideal for? 9 What about tracking apps on MY phone? 11 So, what do I need to know about tracking? What do these apps do? Depending on your need, there are a variety of ways you can use apps to track others. The most common and widely used tracking apps rely on GPS technology. The reason—smartphones come with GPS capabilities, and they are omnipresent. In fact, studies conducted in January 2017 report that 77% of the population owns a smartphone. So, it’s simply a matter of utilizing the GPS technology that is already installed on smartphones. This is what makes them such a popular choice for tracking—they are both practical and universal. What are the Most Common Uses of Tracking? There are lots of ways to use cell phone tracking, but the most common by far fall into some basic categories. Like it or not, raising a child who comes from a generation of digital savvy people takes an extra level of precaution, which is why parents top the list of people who use cell phone tracking. For some parents, tracking is about monitoring a child with a medical condition. For others, it’s about taking an extra level of precaution against those 21st-century threats that technology offers to sexual predators. Let’s face it, your kids’ social media profile, although marked private, is far from private. To complicate matters, your children know more about devices like phones, tablets, and computers than you do. But you know more about the dangers of the world than they do, and it’s your job to keep your kids safe. And since they surpass you in the knowledge of the nuances of technology, it’s up to you to monitor where they are and who they are talking to. If you ask law enforcement officials about how social media and cell phones have changed the way their do their jobs, many will report that the perception of privacy that technology offers gives criminals courage. In fact, research shows that close to 725,000 kids were “aggressively” asked to meet with strangers after an online encounter. So, as a parent, you will worry much less about the child predators lurking at the grocery store trying to remain unnoticed, you now have to worry about brave adults carrying on secret conversations with your kids in hopes of luring them away from you. What that means for you is it’s time to find a new approach to watching over your kids. The 21st-century’s answer is location tracking and phone communication monitoring. Does there need to be consent for parents to track their children? It is entirely legal and permissible for a parent to monitor the location and communication of their under-18 child’s cell phone without consent (Source: GPS.gov). In fact, when operating systems are unlocked (i.e. jailbroken), you can install these tracking apps on your kids’ devices without them knowing. Apps like mSpy and Spy Bubble allow parents to track their child’s location as well as monitor their activity on the phone: like phone calls, texts, and app usage. These apps, and others like them, are perfect for parents who want their children to have the advantages of a cell phone, while also getting the comfort of knowing where they are and who they’re talking to. Another very popular app that confines itself to cell phone tracking of particularly children, offers also features like the “Panic Alert”. Namely Life360, offers the child to click a red button at the top of the screen to notify his/her family of his/her location and that they need help! There are certainly many more apps out there, but be aware that if you want the most features and the best GPS accuracy with an easy-to-use interface as well as full control of your children’s phones, the paid version of these apps / software is the only way to go about it. One of the easiest ways to do that is to get your spouse to open up about where he/she is and what he/she is doing. If there is a desire to save the relationship, there should be no cause for disagreement. According to U.S. News, between 15-18% of married people openly admit they cheat on their spouses. The reality is, this number is much higher because people do not want to admit they are cheating even to their closest friend. This makes it clear why couples monitoring one another is the second most significant use of cell phone tracking apps. 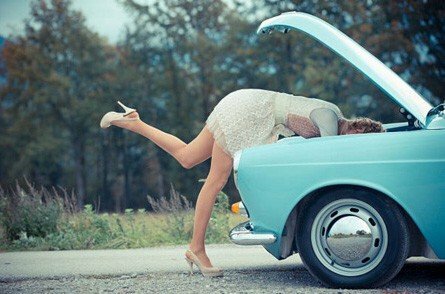 If infidelity is an issue in your relationship, it needs to be fixed. One of the easiest ways to do that is to get your spouse to open up about where he/she is and what he/she is doing. If there is a desire to save the relationship, there should be no cause for disagreement. In fact, Dr. Janis Spring outlines ten steps for recovering from an affair. In step six, Dr. Spring recommends setting rules. These rules are to be ironclad and set by the person who was wronged in the relationship in order to begin the healing process. Many spouses opt to use tracking apps as one of these ironclad rules that Dr. Spring suggests. The idea of openly monitoring one another’s location in a reciprocal manner helps to prove to the spouse who has been cheated on that the partner who cheated in the past has nothing to hide. Both parties decide together that sharing locations freely can help mend the relationship. Tracking apps are the ideal solution to help ease the anxiety of the spouse who is a victim of infidelity. They offer the necessary peace of mind to heal the relationship. When the experts advise that it’s healthy for in some relationships for spouses who have cheated to give their partners what they need to recover, then there’s really no questioning the need for such actions—just keep in mind they need to be consensual. What if my spouse does not agree to install a tracking app? Consent is the first thing required to perform surveillance of another adult—regardless of your relationship to them. Despite whether you’ve just met them or you’ve been married for 30 years, The Electronic Communication Privacy Act makes it illegal to track another person’s cell phone without their consent. One excellent reason that consent is necessary is that tracking via cell phones is an easy way for physically and mentally abusive spouses to keep tabs on their partners. It can easily allow an abuser to track his significant other as a means of control or to impose physical violence. NPR recently surveyed 72 domestic violence shelters, and what they uncovered was very scary. The biggest cause for concern was that 85% of visitors needed tracking devices disabled or removed from their phones. 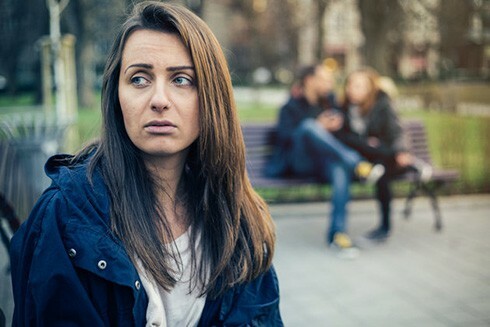 On the contrary, not everyone is an abuser, and if you are the victim of infidelity, you likely feel justified in tracking your spouse without permission when it comes to issues of custody or equitable distribution of property in your divorce. That, “See what she’s doing to me,” can easily allow emotion to take over logic. While those feelings are certainly valid, they do not justify tracking per the legal system. Since January of 2012, the United States Supreme Court agreed that information obtained from tracking devices falls under the fourth amendment, search and seizure, and therefore requires a warrant. The bottom line is clear: Without consent/permission, any information that your attorney may try to submit into court will not be permissible because it was obtained in violation of the Electronics Communication Act. So it’s not worth the risk. If you don’t have the money to spend on a tracking device, you can always plant an old smartphone in their car or in something like a purse or bag that they take with them. If you are using an iPhone, the key is to remember to activate the preinstalled Find my Phone app. Then you can monitor a person’s whereabouts by tracking the phone. For Android phones, look into activating Android Device Manager. Both apps are completely free. The trick is you have to keep it charged (attaching a extra battery pack to it might just do the trick to extend the battery life) and keep it on silent mode. If you do choose to ignore the law, and you want to run the risk of tracking someone without consent, there are some creative ways that people have tried AND that have worked! One of the easiest ways to track someone is by planting a GPS tracker in their car. These devices are about 4 inches by 2.5 inches and they come assembled with a magnet. Some of them even come in a waterproof box. You can simply slip the box under or in someone’s car. Then, you can monitor their whereabouts with an app. The trick is you have to keep it charged (attaching a extra battery pack to it might just do the trick to extend the battery life; because you don’t want to be taking it out to charge all the time and to be found). Find an old smartphone or buy a used one online. For example on eBay.com you can find many in the $100 range. Remember the smaller the better (consumes less battery and you have more space for better concealing it). As you know, Android phones are cheaper than Apple products. Update the software to the latest version. Buy a prepaid SIM card that has a data-plan. The cheapest one should do, as long the telecom provider has a good coverage in the area you want to do tracking. Install and activate your desired phone tracking app (we have reviewed six apps). Enable “Location services” on the phone (iPhone/Android) and on the app. Turn all possible sound off and vibrations on the phone so it doesn’t make any noise at all. For example if you get a text message from your network provider, or a accidental call is made, or even a sound notification when your battery is running low, these are all possible causes for worry. Purchase a high-capacity external battery bank (you’ll thank me later) and connect it before you put it in the car. You can find some good ones on Amazon.com. As you probably know, batteries on smartphones deplete very quickly, even faster on used phones. Some of these power banks (especially the bulkier ones) can keep your phone working for more than a week without needing to be taken out for a re-charge. Install an app such as Potential that alerts you when the battery level lets say reaches 30% (you can set up to any particular level). 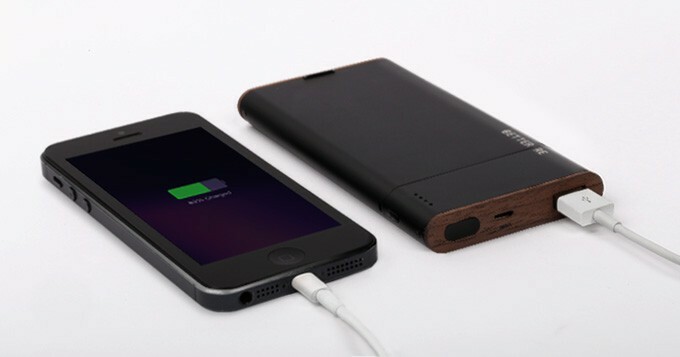 To prepare to get the phone back and charge it, as well as the extra battery pack. Also, do not forget to passcode lock it – in the event that he finds it and tries to get in and figure out who is behind it. Conceal the smartphone smartly in your car first, and test it out for a few days. Give it a call, see if it rings, see how long the batteries hold up. Prepare before you plan to plant it in his car (see below list on places where you can conceal it). The trunk of the car. If he rarely uses it, and/or it has a thick carpet to hide under it, then this would be the ideal place. Underneath the middle/center console. Lift it out (use force if necessary). Under it is usually lots of crevices, probably enough to put the phone there. 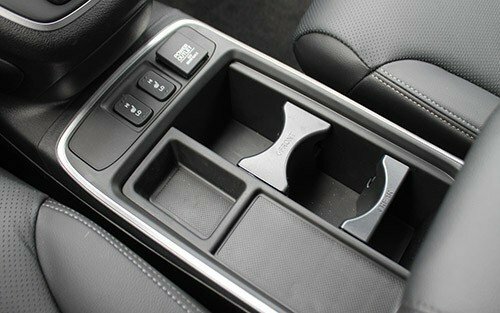 If there is enough space, and its sturdy, hide it behind the glove compartment, there are all sorts of crevices there. If the phone is bulky and the battery pack even bigger, this place won’t work that well. Be creative! Every vehicle is unique. Try to find sure places you can hide where he would never look. Enable the geofencing feature to be notified when your boyfriend or husband gets out of a certain area or gets in a certain area. 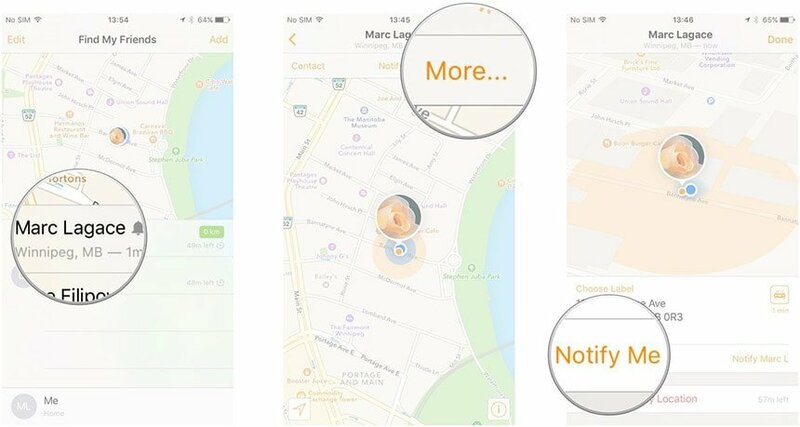 In Find my iPhone / Find Friends apps, simply tap on the “Notify me”, choose “Arrives” and select location you want to cover. For example, you are suspecting he is visiting a lover who lives on the other side of town; well simply add a geofence in that area, and be informed (via push notifications on your phone) when he enters it. Take a screenshot to have proof later on that he was indeed in the area. There is a big caveat here: if you have ALREADY lost your phone or gotten your phone stolen and you are reading this sentence in the hope of finding where it is and thus retrieving it BUT haven’t installed and/or activated any type of tracking app beforehand AND thus cannot access the location of the phone remotely via the web interfaces of the apps (iCloud.com for iPhones), then you cannot track your phone AFTER its lost using this technology. I’m so sorry – this is simply the bitter truth. Only your telecom provider, in theory, can track the location or last location your phone was seen at (until it ran out of battery or the thief turned it off or replaced it with another SIM card). This is another technology that is used, but your telecom provider (AT&T, Verizon etc.) has access to that data and most certainly won’t share it with you. If you are like nearly half of the smartphone users in the US, then you cannot go very long without your phone. It’s a lifeline to most. It’s home to all those sentimental photos and memories. And, it stores work calendars, emails, parenting calendars, access to your child’s teachers—the list goes on because there’s virtually an app for running every nuance of your life. But what happens when you can’t find your phone? Studies show that about 2.1 million phones were stolen in 2015 and about 3.1 million were lost that same year. Because your phone is so important for managing all the aspects of your life, it makes sense to track its whereabouts. Apps like Find my iPhone or Google’s Android Device Manager make it easy for you to locate your phone if you misplace it. There’s not much difference in the technology used to develop these apps. Generally, tracking apps all work in the same basic way: Just like when you use navigation software, your phone puts out a GPS signal showing its location. The difference between using an app for tracking versus using and app for navigation is your phone simply shows you where you are and where you’re going. With tracking and monitoring apps, someone else sees where you are. Are you where you should be? How long until you arrive? A quick review of the App store and Google Play store will show you that the most popular tracking apps perform similar duties. So, finding the right one is simply a matter of browsing what’s out there, comparing prices, and looking at the small differences. If you don’t know where to begin, you can use the preinstalled tracking apps on your device. iPhone users can use Find my Friends app and Android users can use the Google Device Manager. Although there are many mobile phone or cell phone tracking apps out there, most of the free ones especially, are fake. They sell the promise that you can track anyone with pin-point accuracy and without their consent. Don’t buy into this nonsense. Behind the technology: How do these apps work? Most tracking apps work like the GPS in your car—by communicating with satellites in fixed orbits. What happens is receivers on the ground calculate latitude and longitude of these satellite transmissions. Then, the location sends the data to your phone, and you see it on a map right on your smartphone. You may have heard (perhaps from your phone itself) that turning on Wi-Fi improves GPS accuracy. That’s because the radio signals going out from nearby Wi-Fi spots can help give a reference point for where you are—even when you’re not connected to them. This isn’t information being given to anyone else; it’s just a way for your phone to orient itself based on the known positions of the Wi-Fi spots around you. There is a bit of performance difference when users are on different types of networks. If a Wi-Fi signal is weak, you can experience a disruption in tracking. Typically, a Wi-Fi connection spans about 300 feet. So, the person you are tracking is within 300 feet of Wi-Fi service and connected; you should have no trouble tracking. Bluetooth technology is better suited for tracking things vs. tracking people. Most of your absent-minded type people opt to use Bluetooth tracking to keep tabs on those little yet vital things that often get lost like the car keys and the TV remote. The way it works is quite simple. You are given a Bluetooth “tag,” and that tag is paired with a tracking app. You can place that tag on a valuable object, and monitor its whereabouts. The benefits of this type of tracking are that you can easily find things that are lost. One of the drawbacks of Bluetooth tracking is that it will only work when it’s within the range of the receiver. Once you’re out of range of these receivers (your smartphone), the monitoring function is useless. In your lifetime, you will lose about $5,591 worth of stuff. Be it TV remotes, car keys, wallets, iPods, tablets. In addition to that, you will spend about 55 minutes each day looking for that stuff. The frustration alone that is associated with searching is enough to push some people over the edge. Curbing the frustration, saving time, and not losing money are all reasons that people are choosing to use apps to keep tabs on those easily misplaced items. Experts in Bluetooth technology claim that ranges up to 200 feet are possible with Bluetooth technology, but many realists advise consumers to assume that half of the advertised distance is what you will get if you buy a Bluetooth tracking device. You need to be cautious when buying Bluetooth tracking devices. A lot of companies will market their tracking devices without explaining the Bluetooth limitations. TrackR is one company that comes to mind. TrackR… fails to tell you that you have a 100 foot range for tracking until the very bottom of the page (the part that no one reads). The website markets the benefits of tracking, but fails to tell you that you have a 100 foot range for tracking until the very bottom of the page (the part that no one reads). So if you go buy a tag for your dog because he keeps escaping, it will do you no good finding him as soon as he leaves that 100-foot range. Triangulation is a location-based technology that was used on analog phones (remember your old Nokia or Motorola phone?) as they didn’t have GPS-chips in-built in their hardware like today’s smartphones have. Because there are still some phones out there that do not come with a GPS-chip installed in them, sometimes we need to rely on the ways of the past. The same technology can be used on your smartphone as it is not dependent on GPS. 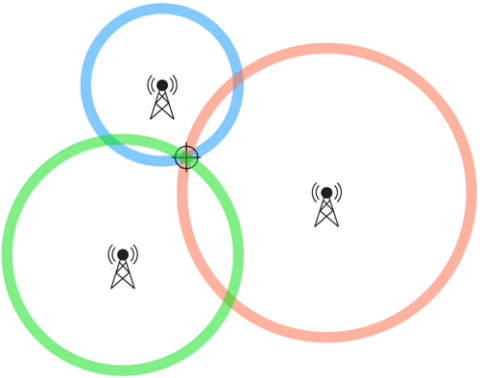 Triangulation is tracking by using cell phone towers to get a general idea of where a person might be (tracking happens by using three cell towers to pinpoint the phones location). Because a phone is in the range of more than one tower at a time, networks like AT&T and Verizon can triangulate, or find the three closest towers, and then determine a general location – just like you get on your live maps on GPS, you can get the same via this technology. If you would like to use this method of tracking, you do not need to install any type of app on the phone of the person tracking or the person being tracked, but in certain cases you must be on the same cell phone plan. The drawback to this method is that it is not as accurate as GPS, and you need to get consent via text message from the person you wish to track in order for location data to be shared (but you do not need to covertly install anything on their phone). In addition, your cell phone carrier will also send messages every so often reminding the person being tracked that he/she is sharing his/her location with someone (you). How do standalone GPS trackers differ from Bluetooth trackers? Bluetooth trackers and GPS trackers are often confused. While they can sometimes look the same (although Bluetooth trackers are usually much smaller in size; the size of a key chain) they both help you keep track of your valuables, the technology is vastly different. GPS tracking works with GPS satellites. This makes them available everywhere. Think about your car’s GPS; there’s rarely a disruption in service. GPS technology by itself has some flaws that give it some locational accuracy problems. Under a clear sky with no interference, GPS is accurate within about 16 feet. Trees, buildings, tunnels, parking garages, and bridges can throw off the signal completely. Think when you drive your car through a tunnel while your GPS navigation is still on. Also the battery of the devices gets drained much faster because the technology is more powerful. Bluetooth, on the other hand, must be within the desired range of the Bluetooth receiver. So, if the device you are trying to track surpasses the range limit (up to 100 or max 200 feet) it needs to communicate with your phone, the tracking won’t work. Although the battery on such a small device can last for up to a year without needing charging or changing of battery. The easiest way to demonstrate this would be using your pet as an example. If you have a GPS tracking device attached to your dog’s collar, regardless of where he wanders off to, you can pinpoint his location. On the contrary, assume you purchased a Bluetooth tracker with a range of 100 feet. If your dog is 101 feet away from you, you will not be able to track his movement until you get closer to him or he gets closer to you. Of course, the range limitation makes Bluetooth tracking much less expensive than GPS tracking. But its limitations make it best suited for tracking things that won’t leave your home vs. things that could span beyond the range. How do I protect myself from tracking apps on MY phone? Digressing back to cell phone tracking: one of the tricky things about tracking is that even if you have the app installed on both your phone and the target phone, with consent granted, and all of your other bases covered, it’s easy enough for the tracked party to stop the phone from being tracked by simply turning of the location sharing in the app (if they know its installed) or just completely turn off the location sharing option in the phone’s settings (if they are paranoid). If you are not confident that shutting off the share you location feature in your phone’s settings will work, the easiest way to gain peace of mind and block tracking is to turn your phone off. Provided it isn’t merely in a standby mode, a phone that is off, or that has its battery removed (in phones where that’s possible), will not emit the radio signals necessary to be tracked by GPS, Wi-Fi, Bluetooth, or any other method. Alternatively, they can leave their phone on, but just disable Wi-Fi or GPS location functions or by disabling the location sharing in the phone’s general settings. Only putting the phone into “Airplane Mode” will accomplish this in one tap. Always, passcode lock your phone. Never click on any links in an email or text message from senders you do not trust. In general – never click on any email/text message links that look wrong. By doing so, you risk to get your phone compromised and a savvy hacker can secretly enter your phone and install all sorts of applications and steal your data. Bottom line: You must have consent (read, access to target phone) to track another adult’s phone. You may have read that there are ways that you can remotely install an app, and to some degree, there are. But it’s far more complicated than calling someone’s phone and talking for a few seconds like many of the websites out there tell you. First, it is possible to remotely install an app on an iOS device. And, for many of them to work, the iPhone must be jailbroken. That means using some workarounds to unlock the phone’s operating system so that you can do things Apple doesn’t approve of. Also, you need to know the iCloud credentials of the person you are trying to track. That’s not the bulk of the work for a remote install, though. In most instances, you still need access to the phone for a short period to complete the installation successfully. Keep in mind, if you manage to get someone else phone in order to complete this step, odds are it will be locked with a passcode, which makes the process even more challenging. As far as Android devices are concerned, you can remotely install an app if you have the person’s Google Account information. But, again, you will need to get ahold of the person’s device for a few reasons. First, if someone sees a random app show up on his/her phone, odds or it will get deleted and suspicions will be raised. So that’s an easy way to get caught. Next many tracking apps require rooting, which is the process of getting control of the Android operating system so that you have full access to all of your phone’s folders. The same result can be achieved when you jailbreak a Apple device, like your iPhone. Since remotely installing apps is so difficult, many people turn to standalone GPS trackers or wearables to track people. There are a variety of options you can choose from when you are looking for GPS trackers. You can opt for watches if you are looking for a wearable. Garmin is one of the most reliable brands that relies on GPS technology rather than solely Bluetooth tech. with its limited range. People like to use these because they can fasten them to something to keep them in place. You can also use tags to stick to someone’s belongings to track people, however, please remember to choose a tag/device that uses GPS technology not Bluetooth technology if you aim to track outside the vicinity of your home. Bay Alarm and Garmin are popular brands that get quality reviews from users. Buddy Tag and Tile are also reliable, however, they are Bluetooth trackers which means they are limited to a 80 to 120 feet range though. Just remember, wearables and tags do not give you access to a person’s messages or phone habits, but they do give you options for locations. Keep in mind; you can put a GPS tracker on anything you own and track it. So, if you are going through a divorce, and your ex has a vehicle in both of your names, you are within your rights to put a GPS tracking device on it. On the contrary, if your divorce is finalized, and you no longer have a car in both of your names, then you are violating the law if you are tracking the vehicle. Hackers can do just about anything they want. That’s why the security of cell phone networks is such a topic for debate. Hackers can access people’s phones and get you their text messages, their pictures, and their call history. Most of the time, cell phone hacks happen when people are logged onto public access Wi-Fi. You know those security warnings that pop up when you try to log on to Wi-Fi. That is your phone alerting you that it has no way to protect your info. There are ads all over the Internet of hackers claiming that they can hack someone’s phone and more. Some of these ads are a complete lie; just con artists playing on your insecurities. There are some that are legitimate, but here’s what you need to know to make sure you are getting the real deal. Oddly, 92% of people ignore those warnings. But hacking and tracking are two different things. You can hire amateur hackers to spy on someone’s phone, but again, it’s not legal. Regulation of Investigatory Powers Act 2000 makes it crystal clear that if you are trying to intercept someone else’s communications that you can spend up to 20 years in prison and pay up to $15,000 in fines. So, you really need to ask yourself just how badly you want to see your ex-girlfriend’s text messages. There are ads all over the Internet of people claiming that they can hack someone’s phone. Some of these ads are a complete lie; just con artists playing on your insecurities. There are some that are legitimate, but here’s what you need to know to make sure you are getting the real deal. You clicking on a shady link in your email/text message (called phishing). So ask how they will do it. If they don’t say through one of these four gateways, they are lying. One very easy way for hackers to access your phone is through unsecured Wi-Fi. On these types of networks, it’s really easy to see what other people are doing, and hackers can take advantage of this to see things like your contacts, your meetings, your email, and other sensitive information because they are easy to access. Studies show that there is at least one vulnerability uncovered in an operating system every single day. Of those vulnerabilities, 10% of them are critical. So if you have a hacker who knows how to access one of these vulnerabilities, you can get information from someone’s phone. The last way someone can hack your phone is with a malicious app. Some apps are designed to give hackers a gateway to your phone. The way to prevent this is simple. Don’t download apps from untrusted sources. There’s no way for a phone to communicate with GPS, Wi-Fi, Bluetooth, or cell phone towers if it’s not turned on. There are suggestions that government agents may be able to access a phone’s location while it is turned off—but that isn’t a level of access you’re likely to have if you’re just using it for pinging your phone or finding a loved one. Luckily, for you with a Apple device, apps like Find my iPhone are preinstalled on your iPhone (if you have iOS 8 or later; otherwise you just install it manually yourself). When you activate this option on your phone, the app is a great tool to help you find your phone or locate where your loved one may be. So you might have the app activated on your phone without knowing, so make sure to check. It’s important to note that you cannot turn on Find my iPhone remotely. It must be turned on and activated in order for it to work, so it’s in your best interest to immediately activate this feature so that you can keep tabs on your phone. This is a function that can be used whether you’ve simply lost your phone in your house, if you fear it may have been lost or stolen in public somewhere, or if you are worried because your wife is out in a severe storm, but she’s not answering the phone. 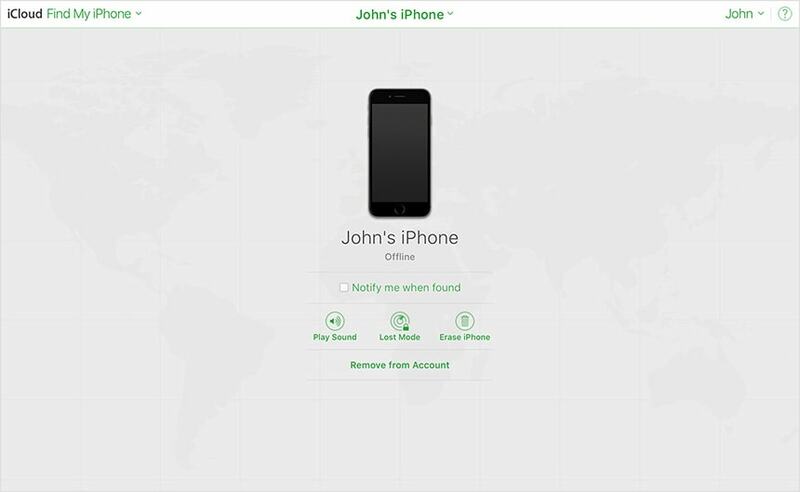 You can simply sign into a cloud-based service (iCloud.com, in the case of the Find my iPhone app) to check your phone’s location. From there, you can see where your device is, and where it’s been. If it looks like the phone has been picked up, you can immediately lock it and send it a message with a contact number. This allows you to communicate with the person who found the phone and gives them the ability to call you without accessing any of your data. If your phone is turned off, you can use your laptop to help you do some research into its location. As long as you are still signed into your Google account, Android’s Device will tell you your last location. So, you can start your search there. Using iCloud, you can access the Find my iPhone App. This works as long as the battery is not dead and your phone is on. If you enabled “Send Last Location” when you activated Find my iPhone, it will register the last location. If not, then Find my iPhone won’t be much help. Your last resort is to retrace your steps. If you finally do have to surrender and accept the fact that your phone is gone, make sure to log out of everything. You don’t want someone to find your phone and start posting things to your Facebook account. So, what do I need to know about phone tracking? We live in a “right now” generation. This mindset has led people to want to know what their loved ones are doing in real time. Be it a wife’s strong desire to keep close tabs on her husband or mother’s desire to know the ins and outs of her child’s social choices; there’s a strong psychological need for peace of mind—especially in the moment. And, the 21st-century’s answer to fulfilling that desire is cell phone tracking. There is a lot of fear and misunderstanding about the nature of cell phone tracking, based on the misperception that anyone can see where you are at any time. In reality, the only type of tracking you need to fear is the kind where someone plants a GPS tag or an old smartphone with GPS enabled in your vehicle. There are ways that someone secretly installs a tracking app on your phone, but the likelihood of this is slim. The key to avoid these types of installs is to keep a passcode on your phone and don’t click on strange links in strange emails / text messages on your phone that could potentially invite hackers in. The good news is, this behavior is entirely illegal, and you can use the law to your advantage. So unless you are actively volunteering your location through social media or a consensual tracking app, your location is only visible to the people you want to see it. If you are only uncomfortable with the idea that your phone can be tracked at all in the first place, it is easy enough to disable it entirely—albeit at the cost of useful functions like Wi-Fi and Bluetooth capability. If you’re worried about your phone being tracked without your knowledge, look out for apps on your phone that you don’t remember putting there. If you see something suspicious, find out what it does. A good way to prevent yourself from having to worry about that in the first place is to just password-protect your phone. You can password protect the lock screen of your phone, and also require a password in both the Google Play and App stores for any sort of download. Ultimately, phone tracking is not to be feared, because it is something that can be controlled. Once you understand how to manage it, and what it can and can’t do, you can take advantage of its benefits with the peace of mind that you’re protected from its potential drawbacks. On the other hand, if you are looking to track someone, just remember, that despite the fact that there are ways to skate the law, it is illegal to track anyone’s phone unless they are your children. Keeping tabs on your kids’ location and their communication can certainly keep them safer, and it will keep you actively involved in their choices. But, if you are thinking about using tracking for someone other than your child, you should reconsider. Tracking, although very helpful, needs to be consensual. So, if you are thinking about tracking your spouse without consent, you should probably think twice. Yes, there are hackers who can help you, and there are workarounds that you can use, but if you get caught, there are also consequences that go along with those choices. The bottom line is simple, you need to ask yourself just how badly you need the information you are seeking before you attempt to track someone without consent. After all, what good is the information you gather if you can’t use it because it was obtained illegally?